Northbay Automotive is a family owned and operated facility servicing and repairing personal, business and fleet vehicles since 1989. Mike Stauber—owner/operator of Northbay Automotive started the business on one simple philosophy; Quality Auto Service & Repair at a Fair Price, and to date has been very successful adhering to his plan. As a husband and father of 3, Mike understands the day-to-day demands life sometimes requires and has based his businesses practices on the want to help others get through their own day-to-day issues through quality auto repair. 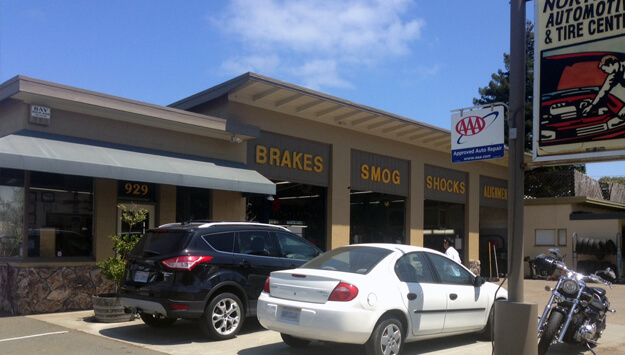 The Northbay Automotive staff includes multiple ASE Certified Technicians, and an ASE Certified Service Writer. They are a Napa Car Care Center, belong to the California ASCCA Trade Association and are a AAA approved facility. No easy feat for sure, but the effort not only shows support to the County & State, but also shows their customers how committed they are to achieving their customer service goals. With customer service being their number one concern, Northbay Automotive wants every interaction to be an Exceptional Customer Service Experience! Stop by and experience their way of doing business, with you, the customer being number one! We service Ford, General Motor, Jeep, Honda, Nissan, Subaru, Toyota, and the fast growing Volvo products.